In the last week, an app available on iOS and Android has become a craze around the country. 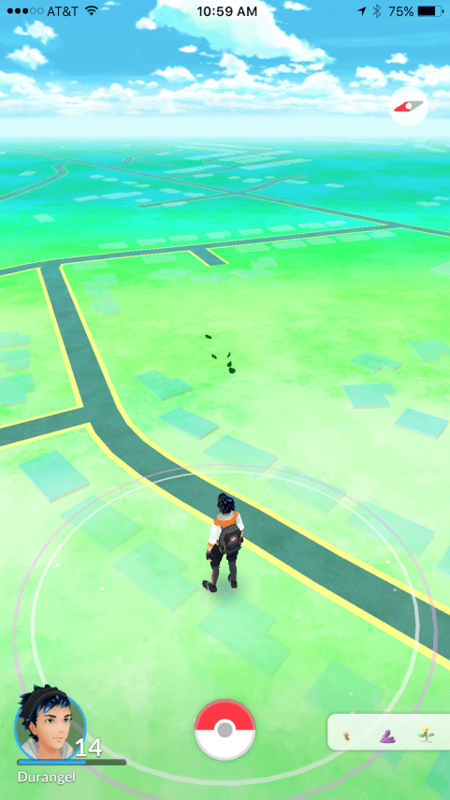 The game, Pokémon GO, has brought to life a game that originated in the 1990s. 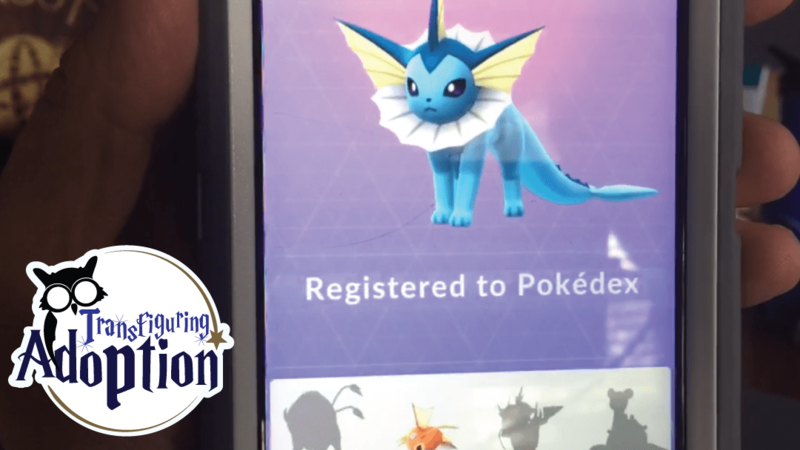 You can learn more about the game by visiting the official site: http://www.pokemongo.com/en-us/, but here are some of the basics. 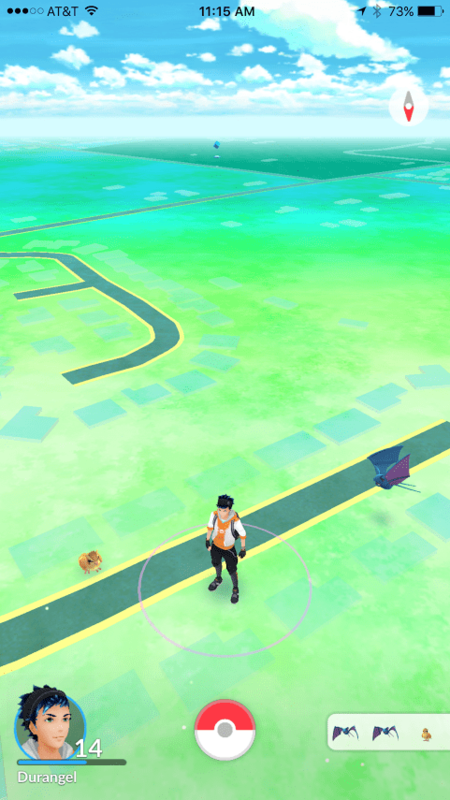 Players seek for Pokémon in real-life locations utilizing GPS. Pokeballs are needed in order to catch the Pokémon, and these are found at Pokestops in public places. Other items needed for game play are also awarded at Pokestops. These include eggs which players can incubate to hatch more Pokémon, items used to revive their Pokémon, lures and incense that can be used to draw Pokémon near, and more. Pokémon players can battle at gyms, also found in public places. The object is to find as many Pokémon as one can, evolve them to higher levels, and win battles at gyms for their team. What has our family thought about the game in its early days? 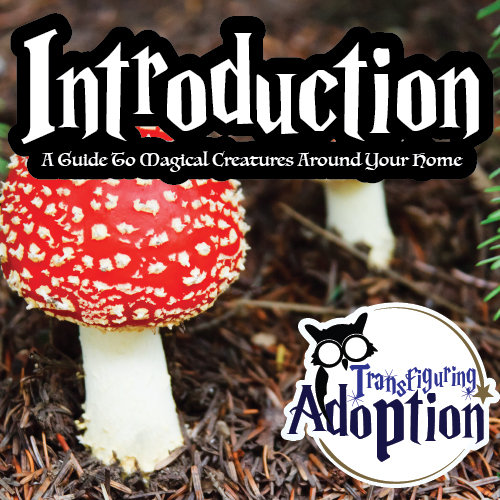 What special aspects should be considered for foster and adoptive people. Here are the pros and cons we’ve come up with thus far. Fitness – This app encourages walking, and lots of it! 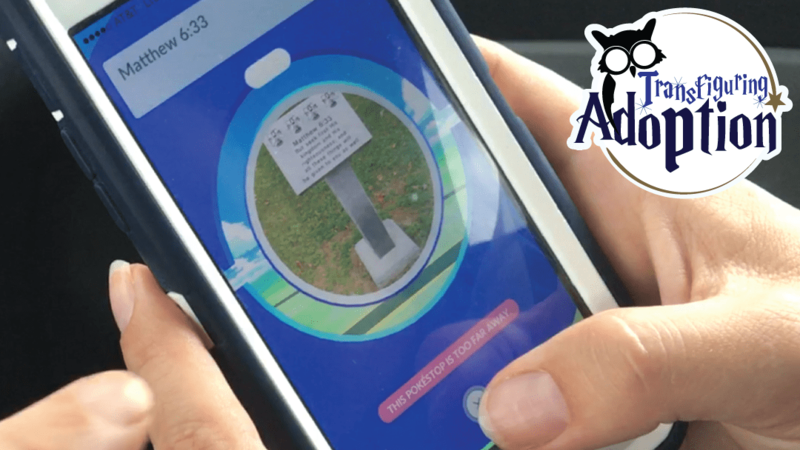 While some Pokestops and gyms are close enough to roads or parking lots to be reached from inside a vehicle, many require players to get out of the car and travel walking paths or sidewalks. In addition, in order to hatch eggs, a player must walk 2, 5, or 10 km. The app is smart enough to sense when a player is driving or riding and doesn’t count the mileage. This summer our family has made an effort to start our days with at least two miles of running/walking. It’s been a challenge many days to drag the kids out of bed and onto trails, but this morning I heard no real complaints as we ran from Pokestop to Pokestop and paused to capture Pokémon. At times the incentive to be the one to collect the items at the next stop got the kids racing each other at speeds they usually won’t willingly go. 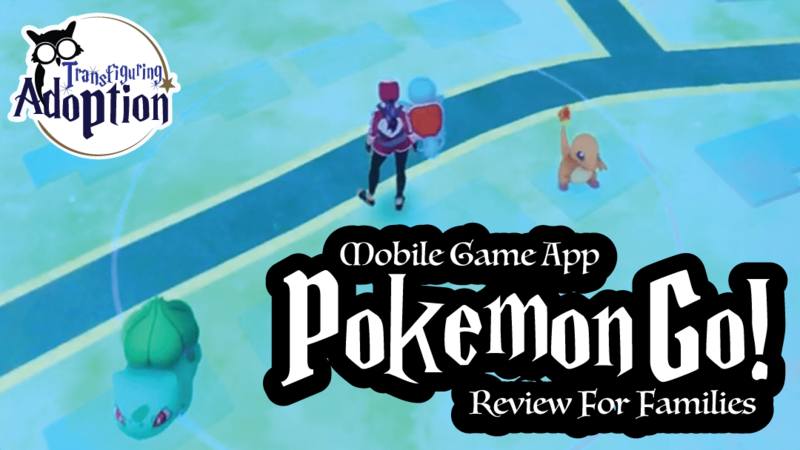 Exploration – A successful player gets out and explores the world at different times, different climates, and different locations as Pokémon are only available at certain times and in certain places. A friend of ours found a disc golf course she didn’t know existed because she investigated a cluster of Pokestops in a nearby park. Our family has discovered all kinds of neat places around our city that we didn’t previously realize existed. Family/Friend Bonding – Pokémon has gained fans across a couple generations as its fame began in the 1990s. Parents and children alike often know a bit about the game’s basics and some of the Pokémon. We have seen several families out and about enjoying the game together, and we have enjoyed playing the game with several of our friends from different age groups and backgrounds. Meeting Others – This game has gotten us out of our house and into the streets and caused us to come face to face with crowds of people we wouldn’t have met otherwise. We have enjoyed meeting and even getting to know so many people in our city. Getting Outdoors – Walking around inside one’s home does not count towards the mileage needed to hatch eggs. Nor can a person collect a wide variety of Pokémon, resupply at Pokestops, or battle at gyms inside their own homes. Thus, a player wanting to succeed at the game must leave their homes and venture outside. Cost – The app is a free download. 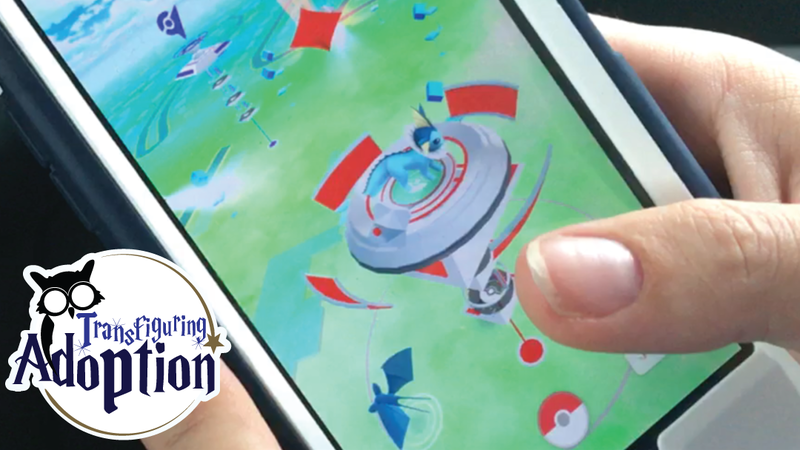 Real money can be used to purchase supplies, but there is no need as long as a player can delay gratification if they run out of supplies and cannot reach a Pokestop. Fun! – The game developers certainly created a fun game, one which is rather enjoyable for all the aforementioned reasons. Safety Concerns – Safety concerns have abounded in the first days of the game. Robbers have allegedly taken advantage of placing lures in locations, drawing people in with the promise of catching more Pokémon and then robbing them. Traffic accidents have occurred when drivers were playing the game. 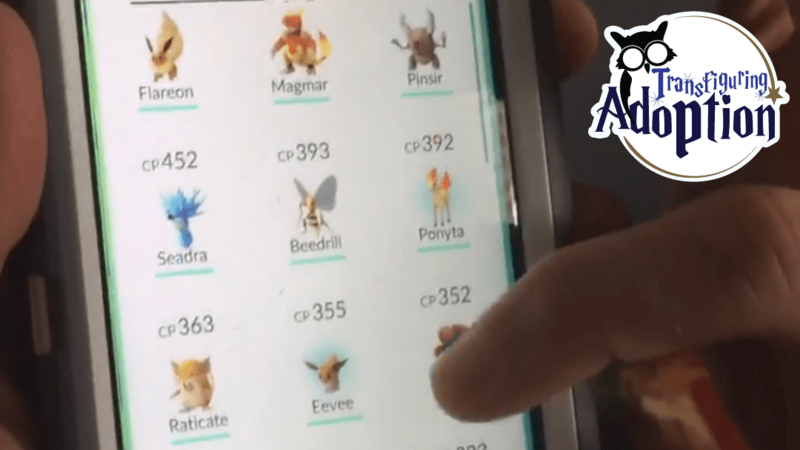 A teen found a dead body while searching for Pokémon. There have been concerns about violence resulting from competitiveness. And other injuries have resulted simply from individuals keeping their eyes on their devices and not their surroundings. It’s such an issue that a warning on one of the opening screens alerts users to pay attention to their surroundings. Safety issues can be of special concerns to parents of foster or adopted children who may lack some of the skills needed to keep them safe. Supervision can overcome many of these issues. Battery Usage – This game, even after selecting the battery saver mode in the settings, drains battery life on devices VERY quickly. We have seen several individuals walking around the city with their phone attached to portable chargers. Long-term this could lead to needing to upgrade devices more often, but hopefully the technology will advance before this becomes a real issue. Data Usage – It’s early yet in the life of the game, but we are concerned about data usage. We unfortunately do not have unlimited data, and we don’t have an Internet provider which supplies wifi access spots all over. Also, our children are not allowed devices with data, so they can only play inside our home or at a public wifi spot. This means they really cannot enjoy the game without sharing our games on our phones. 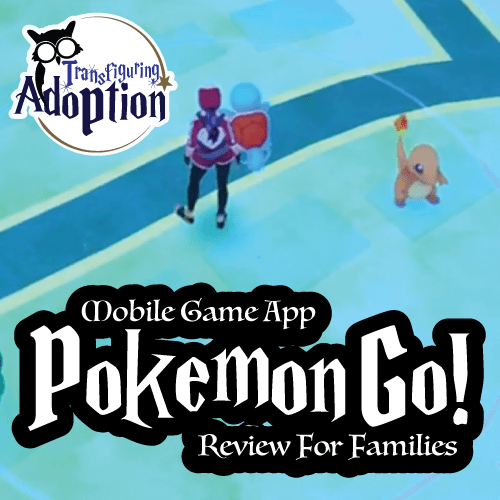 When they use 30 Pokeballs in an attempt to catch one Pokémon since it can be a bit tricky, especially for little people…well, let’s just say it leads to a frustrated parent. “Unable to authenticate” – It took us three days to set up our daughter’s account because of delays and because a child’s account without the use of a Google account requires the parent to supply their information. Once we got her an account, any time she tries to sign in, she gets the same message: “Unable to authenticate.” Apparently this has to do with the overwhelming and unexpected widespread usage of the app. People with Google accounts evidently do not have this problem. Glitches – As with the release of any new app, this first release seems wrought with glitches. We’re sure updates with fixes will come soon, especially as this game has seen so much success (supposed $7.5 million so far for Nintendo) and gained such a large following, a user count which has caused overloaded servers and delays for players. Bonding family activities are so important to developing a healthy attachment. Being outside and getting exercise is very therapeutic for our kids. 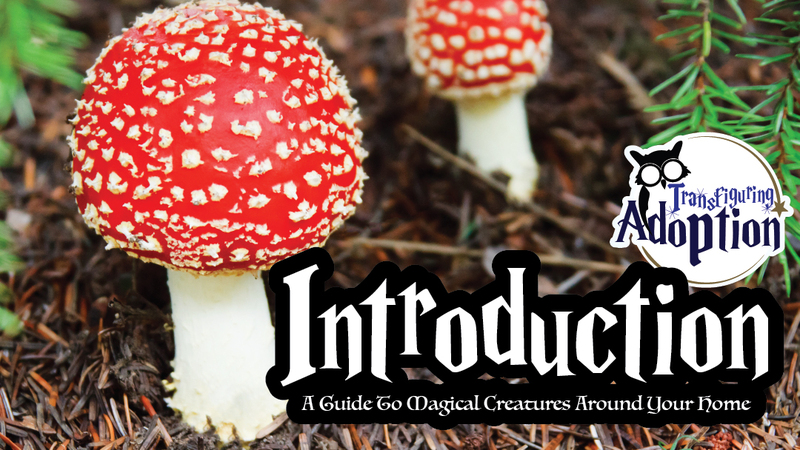 This game requires kids to pay attention to and engage with their surroundings. They can pick up on social skills as they watch us interact with strangers in the community, and we can teach them about safety with strangers. A word of caution: Children who have experienced abuse are statistically more likely to become victims again. Internet usage is a major concern. We would be hesitant to let children have their own accounts and play the game without supervision, especially as player interaction has been suspected to be coming in future updates. Check it out and see what you think. Leave your thoughts in the comments below.